See one of the best groups of all time performing in Branson, MO for a one night only show! This popular band has created some of the best music in history. Experience their discography in the Ozarks during this amazing limited-engagement show! The show is energetic and, of course, authentic. Whether you grew up listening to the music of the Platters or are simply wanting to enjoy an evening of amazing music and fun, this is the perfect concert. All ages are sure to have a blast, regardless of their musical knowledge. The Platters are popular for a reason - their songs are fantastic! Some of their hits include, "Only You", "The Great Pretender", and "You've Got the Magic Touch". The Platters group was formed in the early 1950s and created a unique sound that blended the bests of rock and roll. The group saw various changes throughout its history, though original members were Alex Hodge, Cornell Gunter, David Lynch, Joe Jefferson, and Gaynel Hodge. Eventually, they even got a female member, Zola Taylor, who added a new depth to the sound. 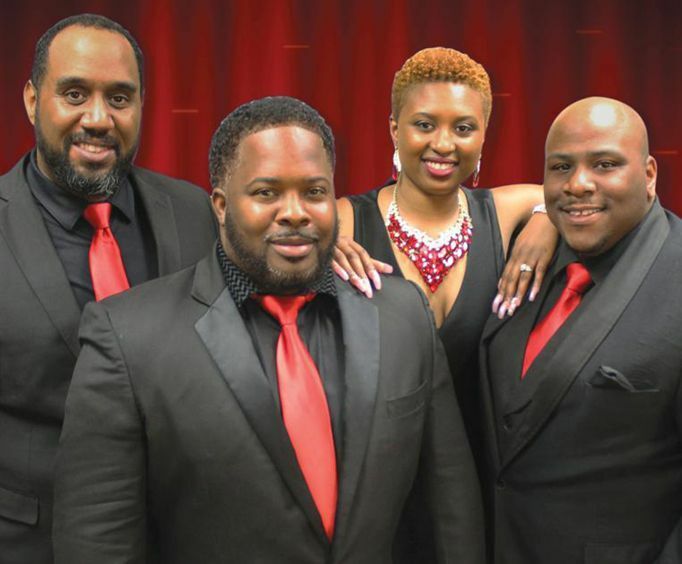 The current group is comprised of Brian McIntosh, Leslie Mon'e, Lance Bernard Bryant, and Kenny Williams. Do not miss out on hearing some of the greatest hits from the Platters, from their astounding repertoire of 40 charted singles on the Billboard Hot 100. Do not miss out on an amazing opportunity to hear some awesome music in Branson, MO! This group is sure to bring tons of fun to the Ozarks stage, so be sure to get your tickets today!